Are you still reading? Honestly, I would assume the only reason you’d even start reading a post on whether to check out WhistleStop was because you’d never heard of it, but, even then, only the most skeptical would even make it past the name – “WhistleStop Bar-B-Que Weekend.” Kind of says it all, doesn’t it? And, in case you missed it, note the nuance of the name – this is not some sort of wannabe Yankee event with “barbecue,” nor something offering mere half-hearted “BBQ.” No, sir, this is a proper Bar-B-Que Weekend. Let’s say, hypothetically, that you weren’t convinced two paragraphs ago, and you’re still reading at this point. Since you’re demanding the hard sale, let’s dig into this further. First, let’s talk about the meat. The first thing you’ll notice even before you enter the Depot for WhistleStop is the smell. The atmosphere is saturated with the unmistakable and unmatched odor of various types of smoking meat, and this is the good stuff – five different competitions will take place over the weekend. Come at the right time, and you get to help judge bar-b-que or wings. WhistleStop may have started with meat, but with each passing year it’s increasingly coming into its own as a music festival. This year it&apos;s a celebration of the Alabama Bicentennial along with a great roster of area artists. And if that’s still not enough, there’s a Corn Hole Championship with cash prizes, a Kids Zone, food vendors, a great gift shop and more. Plus, there’s the fact that it’s for a good cause, supporting the EarlyWorks Children’s Museum and educational programs. There’s no better feeling than enjoying a big mouthful of bar-b-cue while awesome music plays, and knowing that you’re doing it all for the kids. 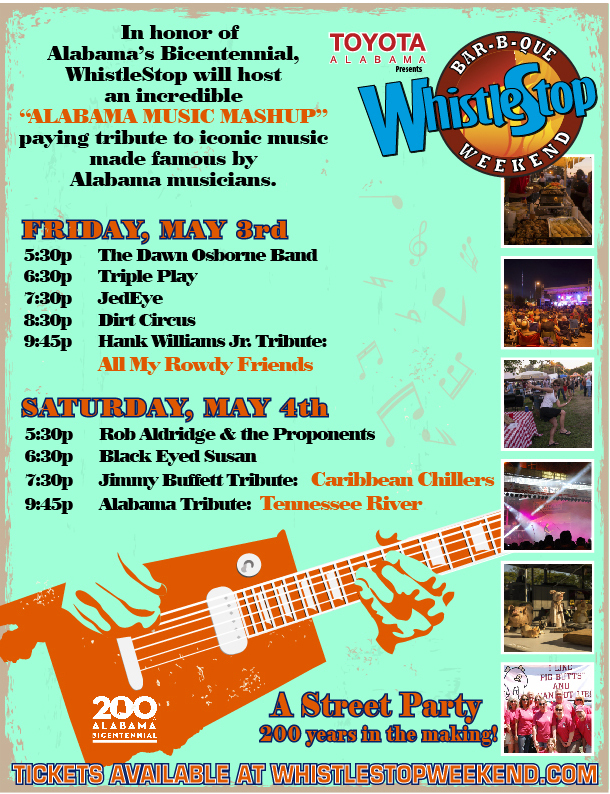 Tickets for the event can be purchased online at www.whistlestopweekend.com. 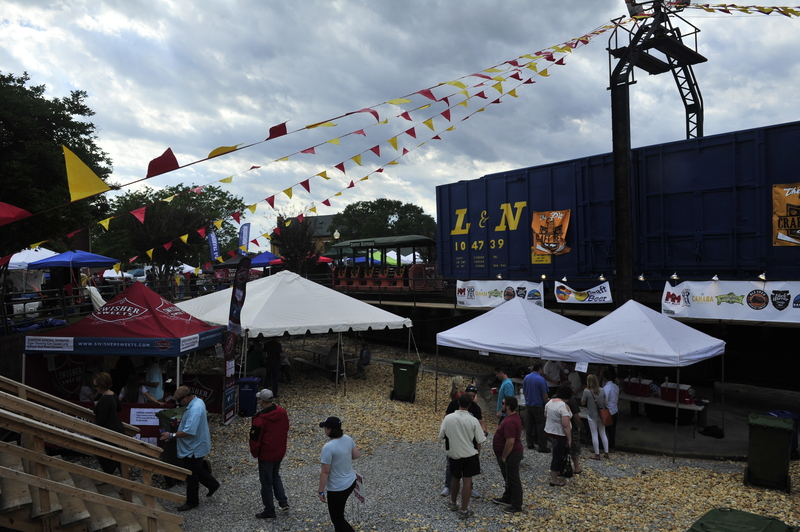 All proceeds from WhistleStop Weekend benefit the educational initiatives of The EarlyWorks Family of Museums. 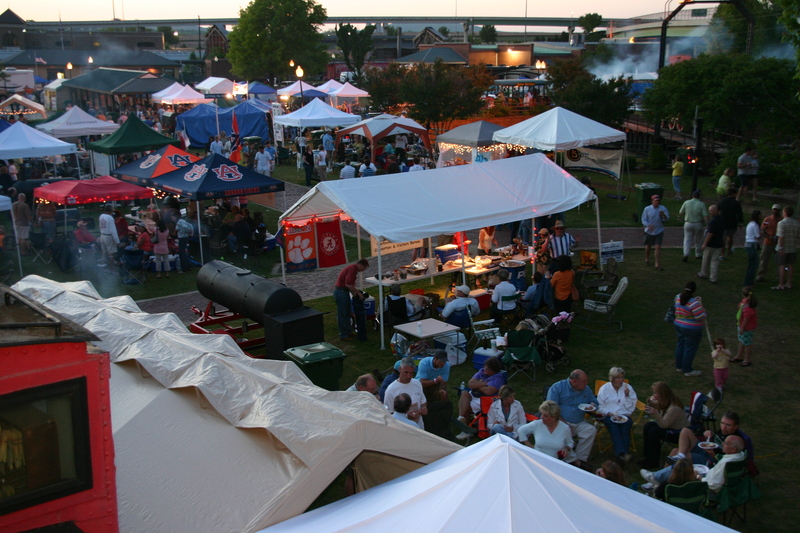 The 2019 WhistleStop Bar-B-Que Weekend will be held May 3-4. Click here for more information on all the fun!